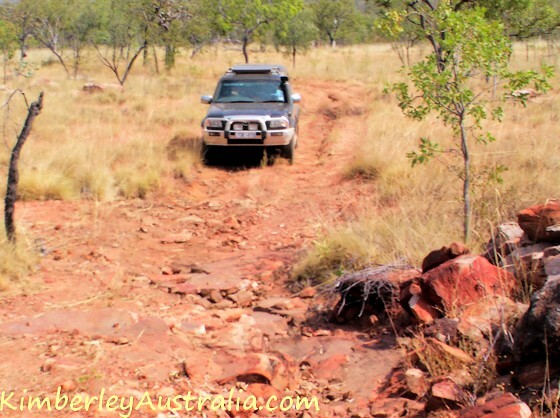 Mount Elizabeth Station, located off the eastern half of the Gibb River Road, is a working Kimberley cattle station that also welcomes tourist. And when I say working cattle station, I mean REAL working cattle station, not tourist resort that still runs some cattle in the background. If you want to see what station life is like, Mt. 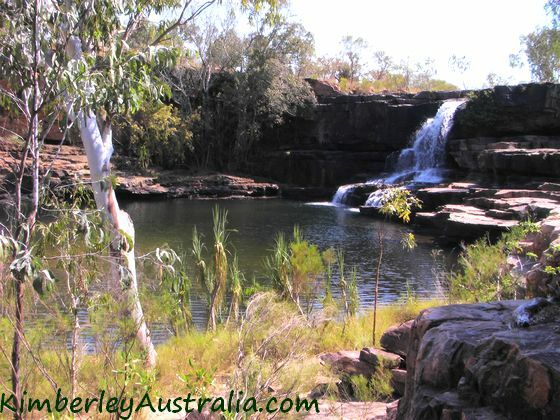 Elizabeth is the best place along the Gibb River Road to visit. To me places like Mt. 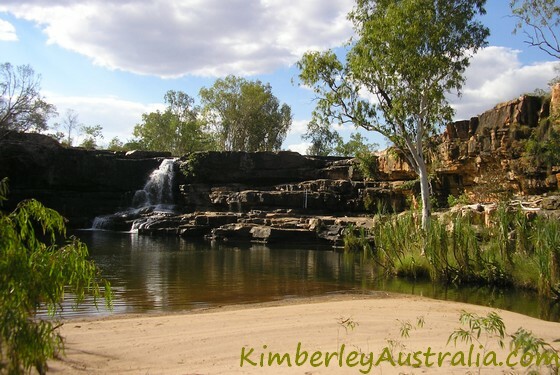 Elizabeth are the true heart of the Kimberley. Frank Lacey took up this lease in 1945 and the Lacey family has had run the property continuously since then. 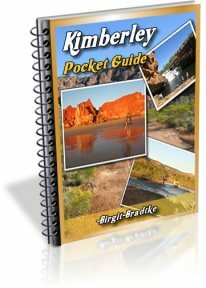 Where else do you get a chance to have dinner with some true Kimberley pioneers? Sadly, Mt. Elizabeth station was sold in 2016 to a Chinese real estate conglomerate. 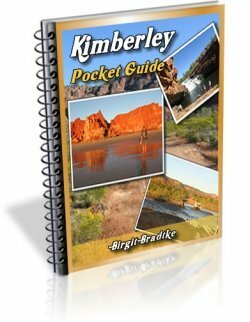 On the surface things have not changed much, but the chance to have dinner with some true Kimberley pioneers is gone. And so is, I feel, a lot of the soul of this place. 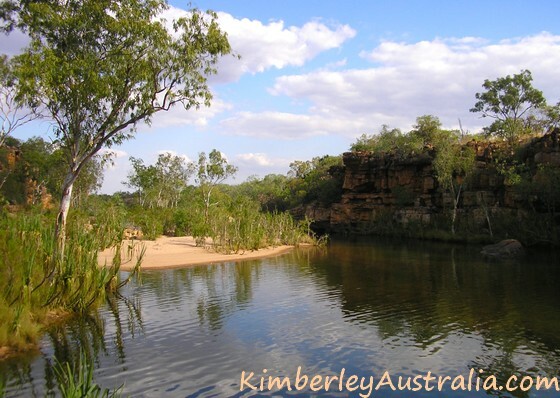 However, the rivers, gorges and tracks on this property are the same as they've always been, and as you will see in the many photos below, are well worth visiting! Mt. 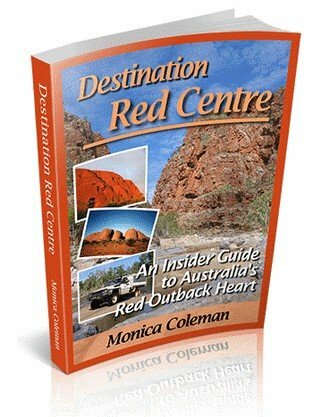 Elizabeth Station offers homestead accommodation with a three course dinner, bed and breakfast. You can explore Mt. 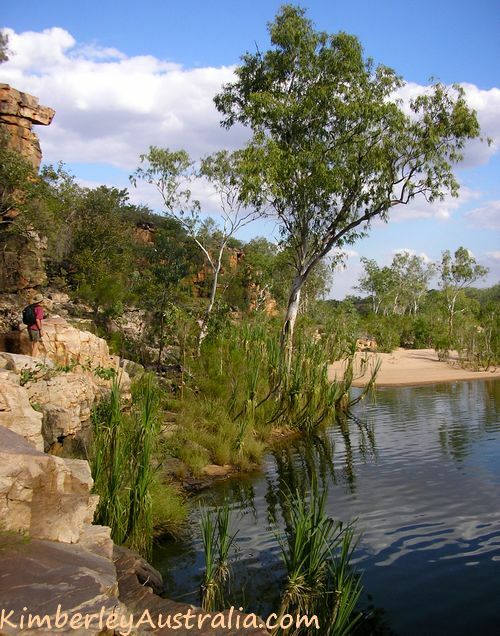 Elizabeth Station by 4WD (self guided), there are a couple of beautiful gorges, hiking, swimming and fishing, and there are also several exceptional rock art sites that can be visited via an Aboriginal guided tour in a station vehicle. 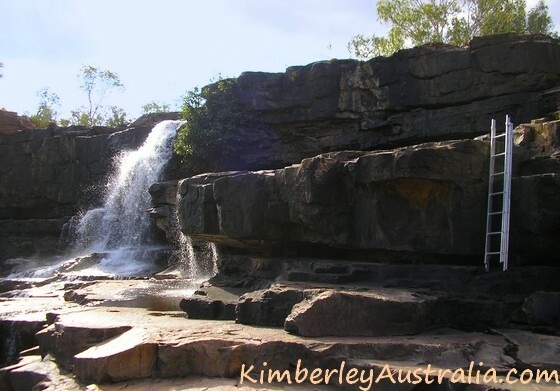 Be warned that the tracks and gorges here are definitely for the more adventurous visitors! 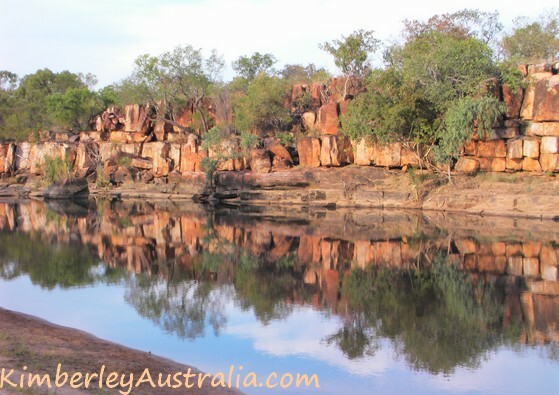 Wunnumurra Gorge. The beach is the one you see in the first picture on this page. 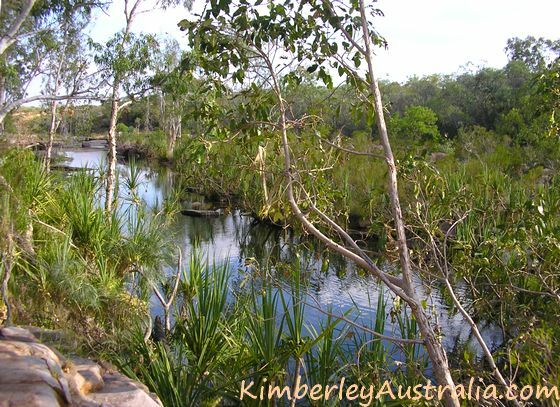 A very rough 10 km drive and a half hour wilderness walk take you down to a beautiful paperbark and pandanus lined section of the Barnett River. 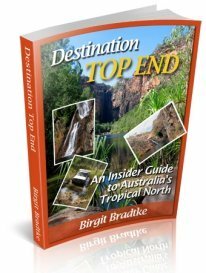 Follow the river downstream until you get to a sheer drop and big waterfall. And climb down. The ladder takes you down to the pool and waterfall. 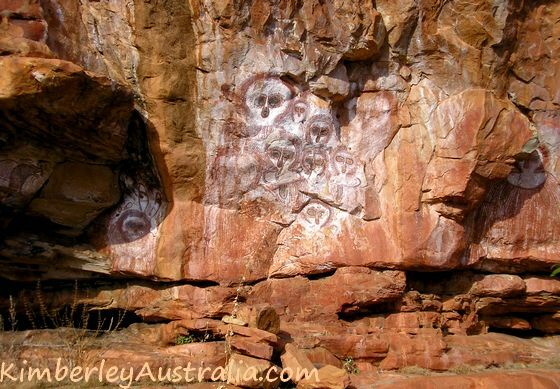 ... and if you know where to look, you can even find some well preserved Wandjinas. Not so adventurous? 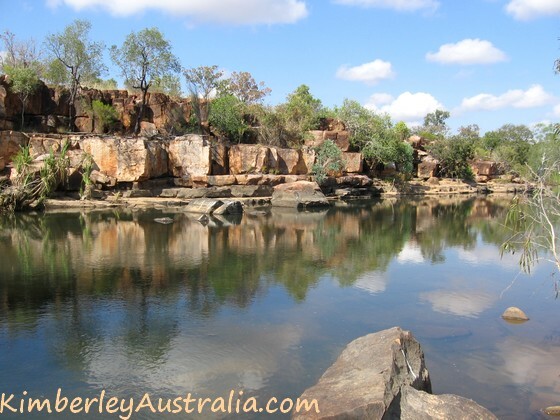 Warla Gorge (or Hann River Gorge) is a much more relaxed and peaceful place. 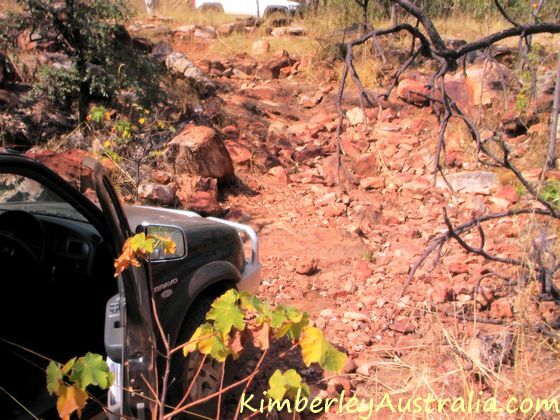 The drive is easier and there is no hiking or climbing. 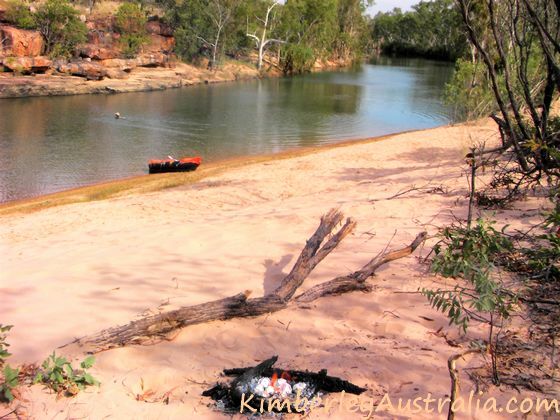 A shallow section of the Hann River to sit in and relax, a nice beach, a wood barbecue... What else do you need for a perfect afternoon?